For how long must we be victims of lies? What are the duties of a school director? Is it managing the school or sending people to fields to pick cotton? Is the state policy being tested on teachers? Are there any training courses which would teach directors public speaking skills, politics and raise their awareness of forced labor? With the start of the cotton-harvest campaign, our school has fallen on hard times, as every year. Having seen many reports on the internet, I was delighted. I said “At last, the teachers will not be picking cotton this year” and I was very pleased with the policy of our respected president Shavkat Mirziyoyev. However, even after so many reports, we, the teachers, instead of holding classes at school, are still in the fields picking cotton. I know that this is a very important campaign. After so much hard work, the cotton harvest should have been completed within one or two months. The significance of cotton for our country’s economy is huge. However, how many people from the country’s population are taking part in this campaign? Who is picking cotton? It is not a secret that a few years ago pupils also used to pick cotton alongside adults. Later, this practice was banned and only teachers were involved in picking cotton. Just think about it: if pupils are at school and teachers are doing field work, where is the logic? Who will study and who will teach? Last year only the elderly teachers and those who were unable to pick cotton, through sickness or pregnancy, stayed at school and others picked cotton until November. Every teacher is assigned to a class and teaches all subjects. For example, a teacher of the Russian language is assigned to class “A” of grade 8. This is why he teaches the Russian language, mathematics, the Uzbek language, history and music all himself. This practice continues for exactly two months. The teachers of our school are “super teachers“. I was also a “super teacher” today. I was given class “B“ of fifth grade and I held lessons in history, the Uzbek language, mathematics, literature and even physical training. What do you think of that? My profession is IT. Who would have held my classes, I wonder? The pupils, especially the fifth grade, are always thirsty for knowledge. Their eyes are shining and they listen to the teacher with heart and soul, all of them raising their hands to volunteer to retell the topic. However, by the time they reach the 8th and 9th grades one can feel that the glint in their eye has grown dim, as if their aspiration for possessing knowledge has diminished. This makes me feel sad. Why? If that eagerness to learn remained with them till they finished school, they would go on to become inventors. It is September. Everyone has come back to school from their summer vacation with new plans and goals. The weather has become cool and summer’s heat has gone. The leaves of the trees would say: “Write a poem about me”, and colorful leaves would fall at your feet.The pupils missed their friends, books and tables where they used to sit and where they would say “Dear teacher, what are you going to teach us today?”. 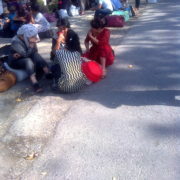 As you start holding classes with pleasure during these wonderful days, sad news about picking cotton break our hearts. The school teachers themselves feel sad. They say “Everything was going so well…”. And the teachers start making arrangements: some of them prepare their belongings, some of them prepare money in order to hire someone and someone else prepares reasons not to pick cotton. The time-table, which should have been approved by 25 August and displayed on the wall, is delayed and because of the cotton harvest campaign just turns into a useless thing. All of the cleaners are in the fields picking cotton. Who will clean the school? We heard that in Japan pupils clean the school themselves. It would have been good if we introduced this here too. No one would notice that there are no cleaners. If I was a magician, I would have painted the walls in the school a color which absorbs dust. Then there would be no dust, even if the pupils, who missed a class or went to pick cotton, ran along the corridor as much as they wanted. I think it is better to pick cotton in the fresh air and wide, open fields than to hold six classes on different subjects. I shouldn’t have studied at university for four years. My grandmother used to say: “You should study, otherwise you will be an ordinary farmer”. May God grant my grandmother long life! I feel ashamed of myself when I return home from the fields in the evening. Though I’m going back home with my clothes full of dust and scratches on my hands, I see clean and well-dressed young girls and women. I walk quickly to avoid someone seeing me. I try to take a bus as quickly as possible and not be seen by others. The deplorable question “Why have I decided to be a teacher?” tortures my heart. “You are being paid, and that’s enough!”, he said and quickly left. I felt as if I was telling myself, “if you want to say you have been paid, then shut up!” Our school director did not utter a word. Then we trudged back to the cotton field. Although I was not looking at anyone and not talking to anyone, I could not control my fury. Last year there was an article with the picture of a farmer and his family in a newspaper after the cotton picking campaign, being thanked for their active participation in the campaign. I was shocked to see that. Where are the teachers? There were many of them there, more than the farmers! Why do they not thank them? Why do they force us to work and then hide it from others? I really hated that picture at the time. What about what I have just heard? What should I think about it? Who are we? We are ordinary teachers, whose rights are violated and honor insulted, who have to say “OK” to everything. Are there any more dedicated and modest people? I received a phone call from our director early this morning who said: “Odinakhon, we are not going to the cotton fields today, we have inspectors. Be at school in uniform”. Splendid! 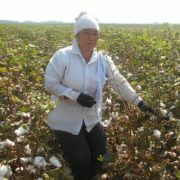 Unluckily, my colleague had already locked his classroom, put the key into his pocket and gone to Nukus to pick cotton. It was raining on Saturday. No one went to the cotton fields. We held a meeting at our school. The director said that our president had issued a new order. 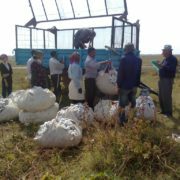 Fergana Region’s education directorate has been tasked with sending 10,000 people to Karakalpakstan to pick cotton. Supposedly, every school should send 15 male teachers, and that in addition to their salaries, they will be given 500,000 soms ($62) in cash each. The state policy is tested on teachers first. 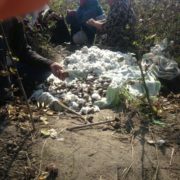 Thus, male teachers are in Nukus and the younger generation is picking cotton as locals. As soon as we heard about inspectors we started writing our reports, filling in the registers, the analysis of lessons and documents and attendance at various clubs. I hold classes and compile documents simultaneously. Am I not a super teacher? God willing, “super pupils” will graduate from such schools. I appealed to the chairman of the Adolat [Justice] Democratic Party, Narimon Umarov, online. It did not help. I received letters of response. 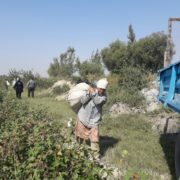 Both the head of the district education directorate and others told me with smiles on their faces: “This year, we will not touch the teachers, you will not pick cotton”. However, our school director said at a meeting before the campaign: “If trouble-makers keep quiet, we will complete the cotton harvest…”. I wonder if the teacher who has defended his rights will now be called a trouble-maker? What are the duties of the school director? Are they to defend the teachers, ensure order and quality of lessons at school or find people to pick cotton? What about the words of those who are ruling the country: “Return teachers from the cotton fields”? 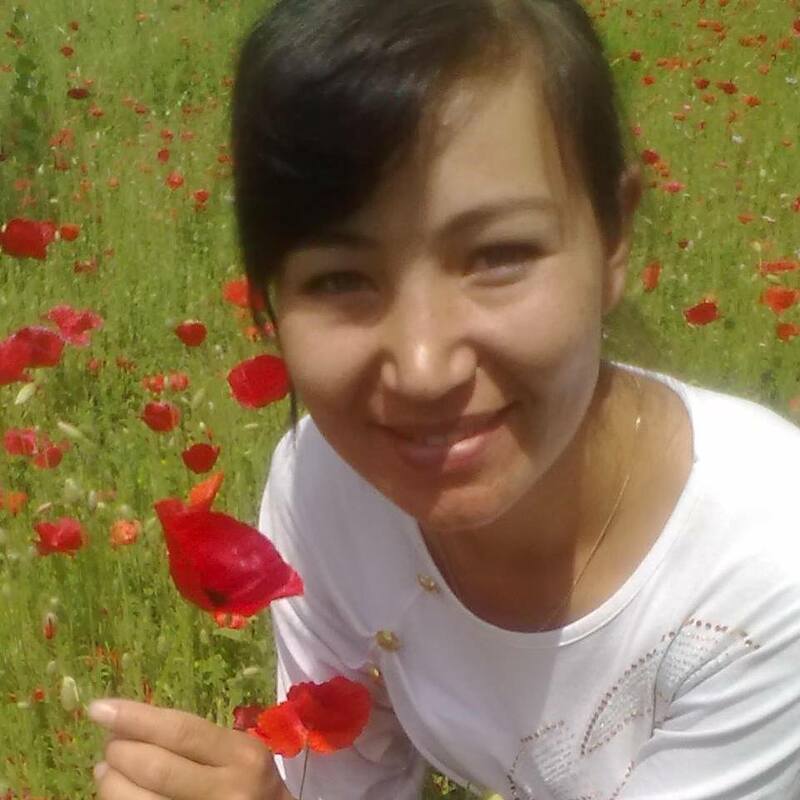 This was even classed as a crime in the Andijan Region. 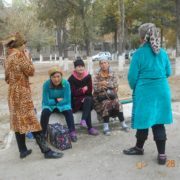 Are the laws different in every region of Uzbekistan, or what? Who am I supposed to report these problems to? 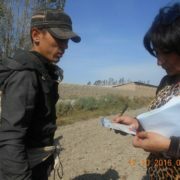 Odina Abdurahimova, a teacher of information science at school № 1 in Buvayda District of Fergana Region. Another Victim of “Cotton-2017” Campaign: Kindergarten Teacher Dies in Field of Asthma Attack.